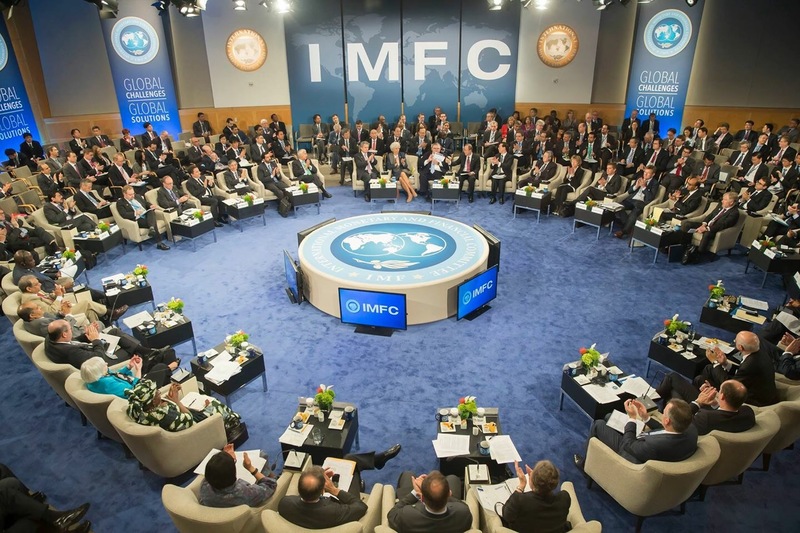 The International Monetary Fund formed on 7th July 1944, (currently has 189 countries) under the United Nations aims to improve international trade, increase employment opportunities and establish financial security in the member countries. It also seeks to improve the conditions of underdeveloped and developing countries with the help of developed countries. It has its headquarters present in Washington D.C., United States. The IMF along with the World Bank provides loans to poorest underdeveloped countries to help them develop by eradicating poverty through poverty eradication techniques and strategies. Loans were provided to the developing countries at a very low-interest-rate as low as 1% and term of over 30 years. Even when these concessions were provided, the countries were unable to pay back the loans that were taken. This was mainly due to the reason that they could not carry out the development process at the rate they expected. By mid-1980s, the creditor countries started easing their repayment by providing much more concessions and by accelerating the development process in the developing countries. Relaxation time was also given to the countries. After all these strategies were taken, the developing countries could not ease the situation they were in. Find more on Angola Fiscal Management Development policy Financing. In 1996, a new initiative was taken by the IMF with the help of World Bank to help the countries struggling to pay back the loan. Thus, the HIPC (Heavily indebted developing countries) initiative was formed. This initiative was launched to solve the problems associated with the debts taken by the developing countries with total debts approximately equal to 200 million dollars. More than half of the population in these countries lived with a daily income of one dollar or less. The HIPC initiative was further refurbished in the year 1999 so that the strategies taken to solve the debt problems are carried out faster and more efficiently. The primary motive of the enhanced HIPC was to increase the long-term growth in these countries and also help the development activities to take place at a faster pace. The main idea/agenda behind this initiative was that the countries relieved from the debts should use the money to implement sustainable strategies that will promote sustainable development thereby freeing the country from extreme poverty. To clear or reduce debts via HIPC initiative countries have to obey what the committee commands which may include some hard to follow-up policies. The initiative also aims to implement permanent strategies which will ensure that the country would not return to the previous situation. The HIPC initiative also seeks the help of multilateral creditors; in fact, more than half of the debt relief is carried out by taking multilateral debts. The bilateral creditors also provide the financial support. Debt reduction packages are implemented by the bilateral creditors so that new policies/strategies are carried out without altering the present aid given to the developing countries. The borrowing country has to prepare a Poverty Reduction Strategy Paper and have to present it at the time of lending. The PRSP is usually drawn up by surveys taken from the public thus ensuring the active participation of the public. The PRSP should be then verified by the IMF and should include innovative and sustainable ideas. After verification, the developing countries are given expert advice on how to implement the ideas produced in the PRSPs. The PRGF was launched in September 1999 which aims to provide loans to countries for a term of 10 years with a very low-interest rate of 0.5 percentage. Greater importance and focus are given to the growth and budget plans laid by the government to fight the potential circumstances or situations. IMF strictly follows the above strategies. In this way, they make sure that the developing countries are relieved from paying the massive debts but at the same time ensure that the country develops sustainably. Now, given the serious growth IMF is producing, I personally feel that it is important to support such global initiatives instead of simply making an assumption. If these changes are possible, the dream of seeing a drastic growth in the world’s economy will come true too.